Halfway through the 2018 International Manufacturing Technology Show, a large digital display flashed a number in excess of 125,000. Attendance is often the most telling indicator of interest and excitement for manufacturing. Of the 2,123 booths covering 1,424,232 sq. ft., only 51 companies represented additive manufacturing. 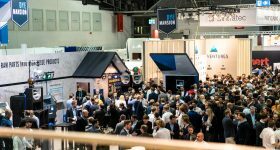 When compared to RAPID+TCT (300+) or formnext (470+), the number of AM exhibitor numbers are certainly lower. Regardless of the numbers, IMTS 2018 was an important event for metal additive technology announcements because of its broader manufacturing agenda. 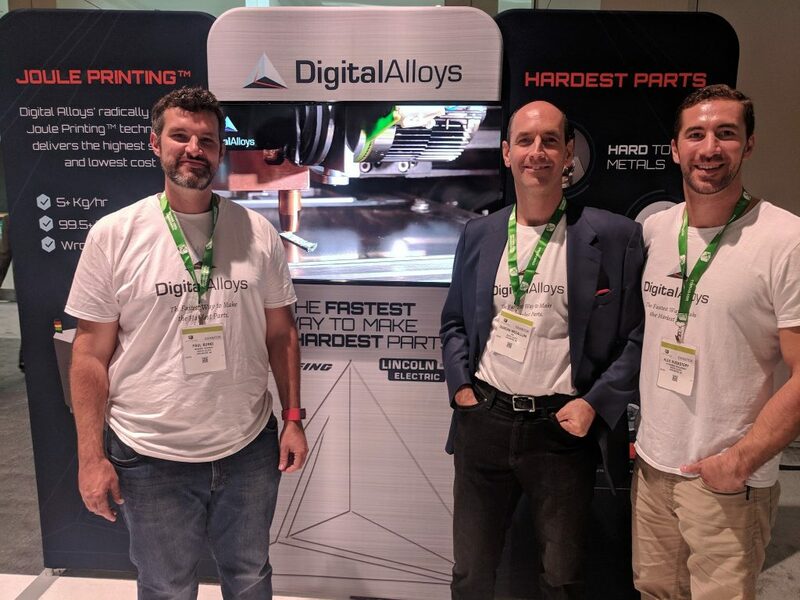 Starting off Tuesday’s Additive Manufacturing Conference 2018 held at IMTS this year was a keynote from the President of HP 3D Printing, Stephen Nigro, who unveiled HP’s $400,000 Metal Jet system and discussed its mid-level production capabilities. 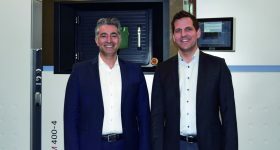 The announcement came with part production as a service available in H1 2019, and select customers receiving systems in 2020 with broader availability in 2021. Among automotive and medical components highlighted during the presentation, a “roller finger follower” exemplified the sweet spot for HP’s technology with its small size, high tooling cost, low weight, and complexity. Used in modern camshaft following systems on passenger car engines to temporarily shut off cylinders and save fuel, HP claimed a 50,000 unit breakeven at $2.10 per part when compared to higher volume metal injection molding (MIM). With less critical parts such as customized metal key fobs and metal badging for Volkswagen already in production, the follower pictured below is an indication of parts to come. A 3D printed roller finger follower from HP’s Metal Jet system in 316L stainless steel. Photo by Dayton Horvath. The Metal Jet, a production-oriented binder jetting 3D printer, fits neatly between functional prototyping and mass-produced parts in automotive, medical, and select consumer goods. Where a brushed metal finish, a preference for 316L stainless steel, and customization are on the specification sheet, HP’s system will shine, eventually. 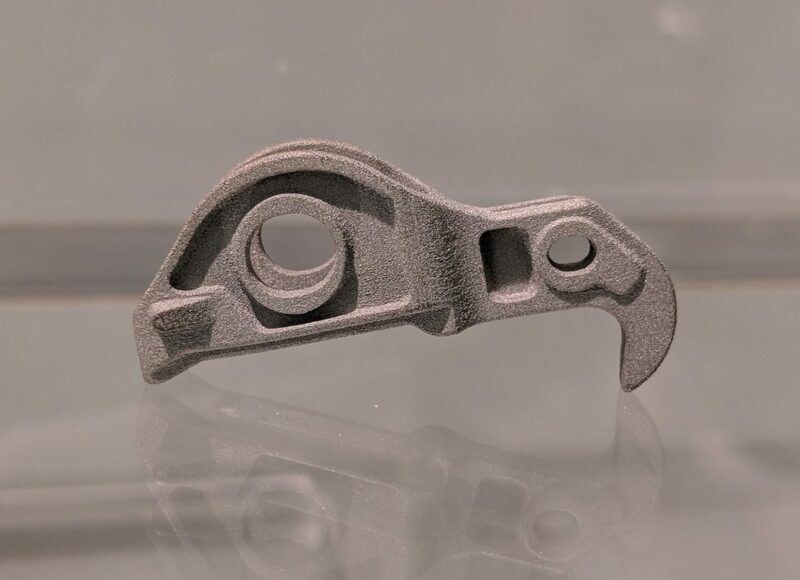 The lack of a studio-level system or a post-processing suite from HP puts this technology squarely in the hands of companies like GKN and Jabil that are fully versed on developing parts for production processes, and sintering those parts at scale. HP has defined its target market for some time to come, and its delivery dates are distant enough to provide others with clear opportunities in adjacent industries, materials, and additive processes. 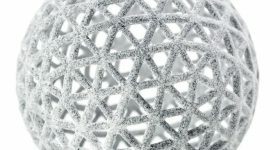 Looking beyond the metal 3D printing hype from HP, a much smaller California technology company called Velo3D came out of stealth mode with a unique direct metal laser sintering (DMLS) 3D printer called Sapphire and an “Intelligent Fusion” process technology. 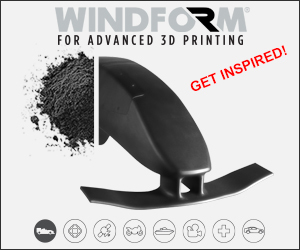 The process begins with a full print process simulation that predicts part deformation, counterbalances this deformation by adjusting the part design, and works with the feed-forward closed-loop melt pool control and in-situ metrology data to produce a part with minimal to no support structures. In many cases, the parts are not fixed to the build plate, allowing for stacked arrays of parts to be printed much like in Arcam’s Electron Beam Melting (EBM) technology. 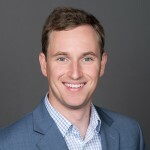 According to Velo3D’s CEO, Benny Buller, parts are currently available in Inconel 718 and Ti6Al4V for three value propositions: part cost reduction thanks to throughput and post processing benefits in comparison to standard DMLS, cost and lead time reduction for short-run production parts, and parts not printable using standard DMLS printers. Specifically, unsupported inner diameters of 40mm as well as unsupported overhangs down to 5° are possible. Velo3D’s combination of hardware and software capabilities distinguishes its offering from the 25+ companies offering DMLS 3D printers today. The marked shift from standard DMLS means that there is even less precedent for the design process and qualifying parts for performance. From marketing to specialized part design training, Velo3D has an industry to convince, and is off to a respectable start with extensive venture funding, a number of customers, and three printers already delivered. 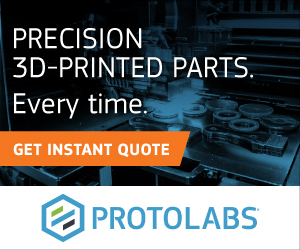 As more case studies are developed, the production capabilities and repeatability of the system will be a deciding factor in capturing production part market share faster than competing DMLS 3D printing companies. Sample part from Velo3D showcasing a geometry printed without support structures. Photo by Dayton Horvath. 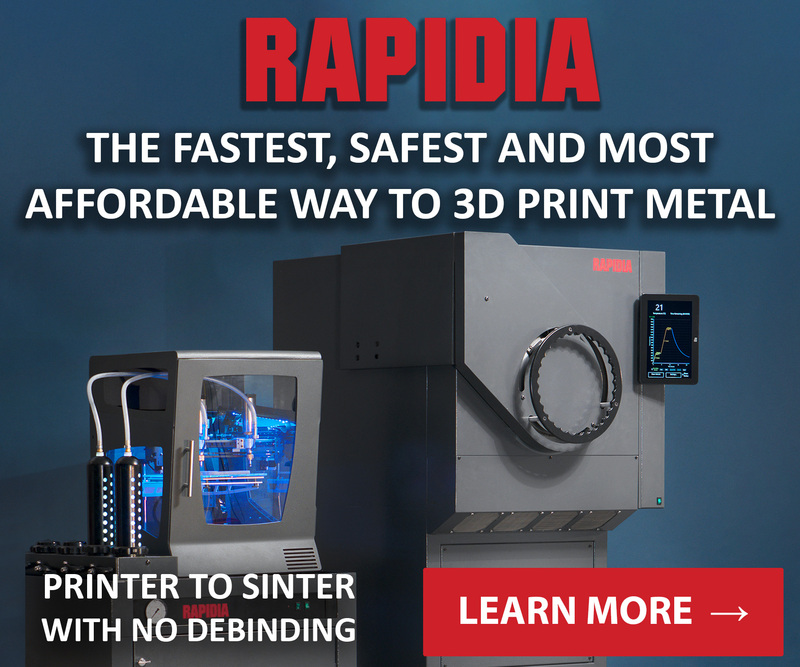 In addition to the two major announcements, many other technology developers were present to add to or reiterate recent metal 3D printing news. 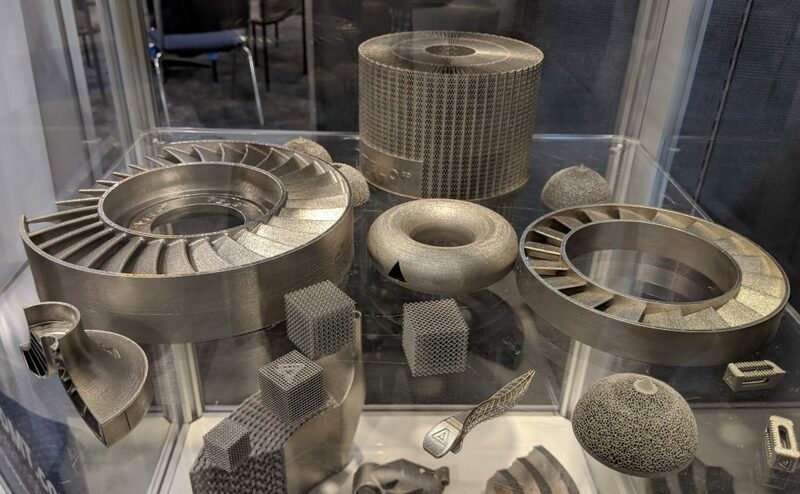 During the EOS sponsored Applied AM half-day conference at IMTS, one of the notable talks was from Arconic on two new aluminum alloys designed specifically for additive manufacturing: Al-ET255 and Al-ET389. 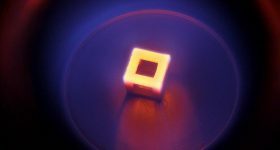 First announced at RAPID+TCT earlier this year, these two alloys claim improvements over AlSi10Mg including ten times the elevated temperature fatigue life at 230°C, 85% higher tensile strength at room temperature, and 30% faster print time on an EOS M290 system. Arconic further noted a 3D printable Aluminum 6061 that supposedly prints without crack formation. 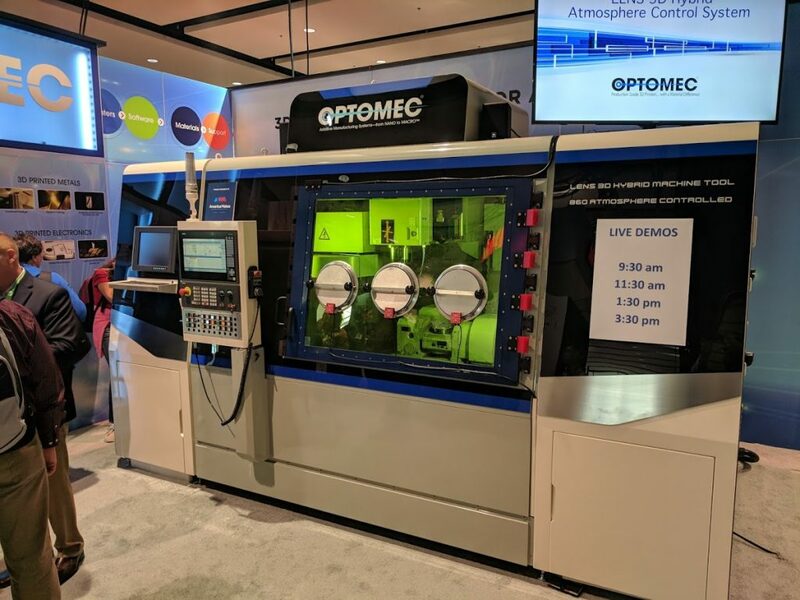 Optomec had a notable announcement with its LENS 860 closed atmosphere hybrid additive manufacturing system, which uses the Laser Engineered Net Shaping (LENS) technology as part of a standard CNC platform particularly for working with reactive metals. The Optomec LENS 860 closed atmosphere hybrid additive manufacturing system. Photo by Michael Petch. 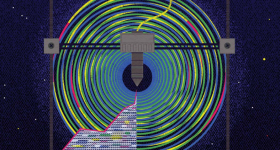 Formalloy, and Digital Alloys represented newer entrances into the powder directed energy deposition (DED) and wire-based additive technology options, respectively. Digital Alloys describe their technology as Joule Printing. Working with either cost reduction or material flexibility, these startups are out to capture portions of the near net shape part market that is only now becoming a more crowded technology category. 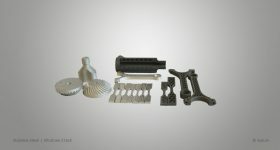 Markforged has additional materials in beta for its Metal X printer beyond tool steels, indicating development efforts specifically in Ti6Al4V, Inconel 625, Al-6061, Al-7075, as well as 17-4PH and 316L stainless steels. 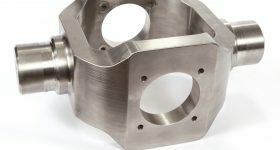 Many of these developments are feature additions and indicate how much research and development is going into metal additive manufacturing. The practical benefits of adding materials, process capabilities, and equipment features are marginal from a customer acquisition perspective, and indicate expected growth more so than any step change in metal 3D printing technology categories. 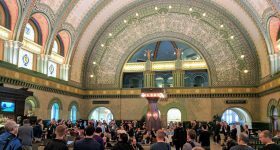 The metals focus in additive at IMTS 2018 makes sense given that the rest of the show was largely dedicated to technologies targeting metals in some capacity. 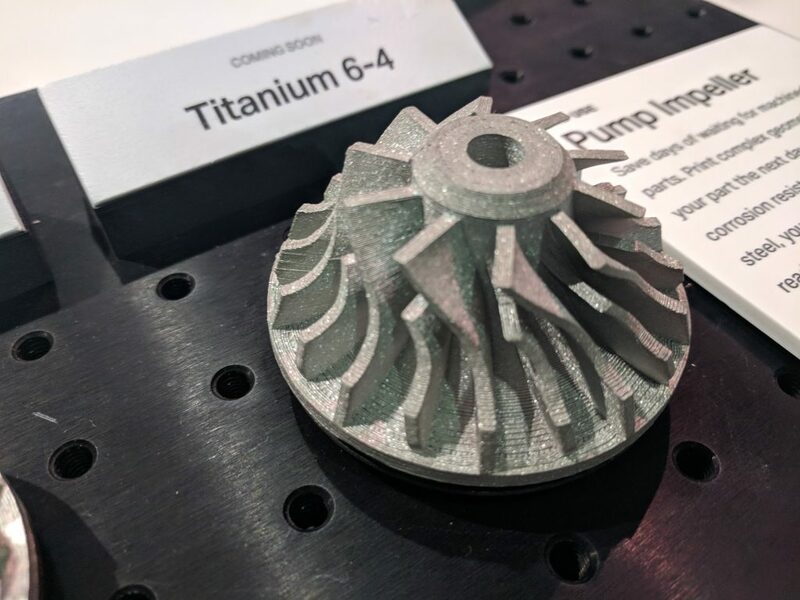 Although thermoplastics were represented, it was the major metal 3D printing announcements and technologies present that seemed to carry the most interest. That interest extended to hybrid manufacturing equipment from Optomec, Mazak and Hybrid Manufacturing Technologies among others. 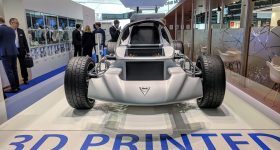 Only at formnext will there be an opportunity to weigh these developments fairly against announcements across material classes and processes. In two months, formnext will likely confirm what IMTS is signaling for 2018 as the year of metal 3D printing. 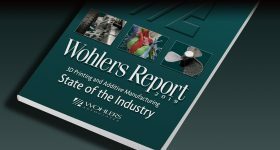 Read more coverage of the 3D printing industry at IMTS 2018. Featured image shows a hot air balloon at IMTS 2018. Photo by Michael Petch.